The OMEGA Speedmaster Professional became the first watch worn on the moon. 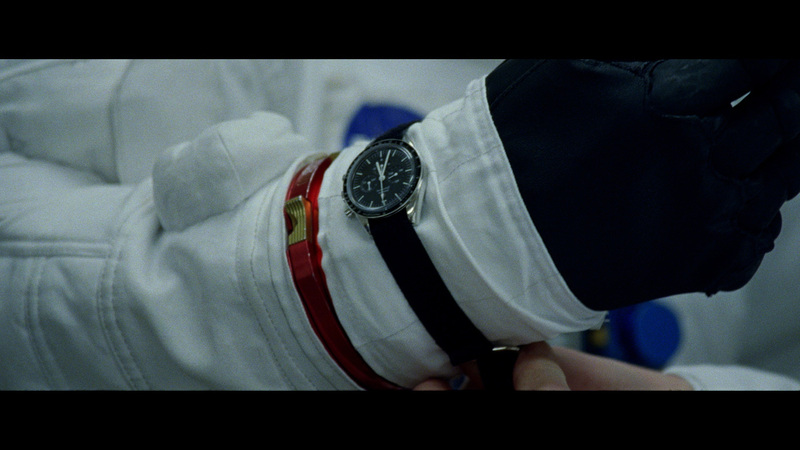 It was during this iconic moment that the OMEGA Speedmaster Professional became the first watch worn on the moon. 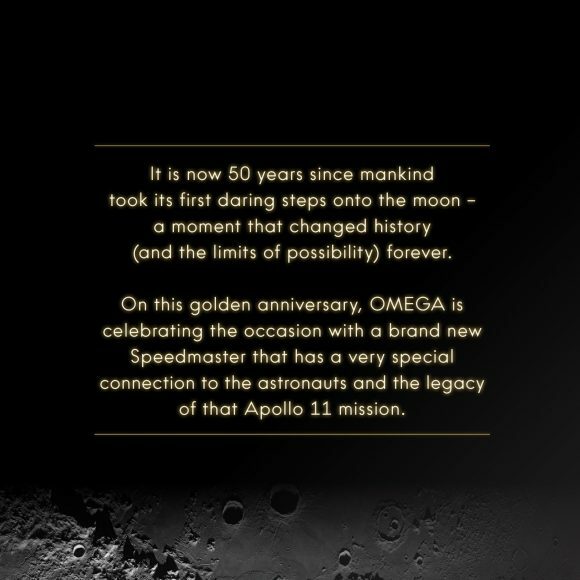 The Apollo 11 mission is certainly the most celebrated moment in OMEGA’s considerable space heritage. But the journey to reach that point began more than 10 years earlier, in 1957, when the very first OMEGA Speedmaster was launched. Thanks to its robust, reliable and easy-to-read design, the Speedmaster became known as the “pilots’ choice” and was adopted by those in the U.S Air Force. 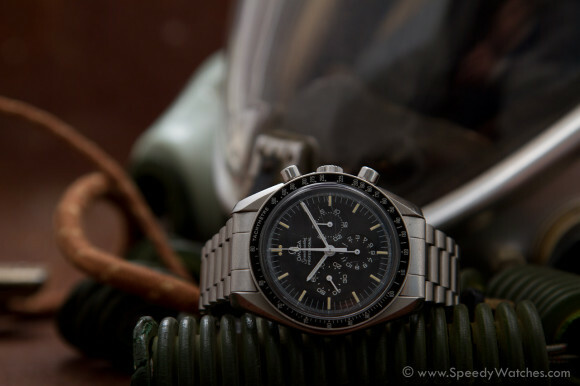 Many of those aces became Mercury stronauts in NASA’s first manned space programme and, in 1963, one of those astronauts, Walter Schirra, took his own Speedmaster CK2998 on the Mercury-Atlas 8 mission. Orbiting the Earth six times, his privately-owned model became the first OMEGA watch worn in space. 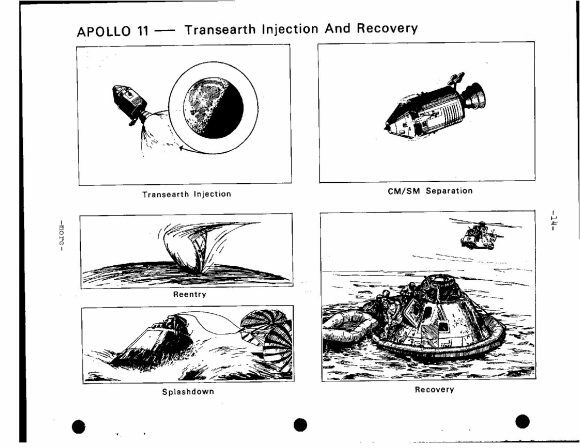 By 1964, NASA’s space programme was accelerating rapidly and it officially went in search of one watch that it could rely on for all of its manned-missions. Flight Crew Operations Director, Deke Slayton, issued a request for wristworn chronographs from different watch manufacturers around the world. 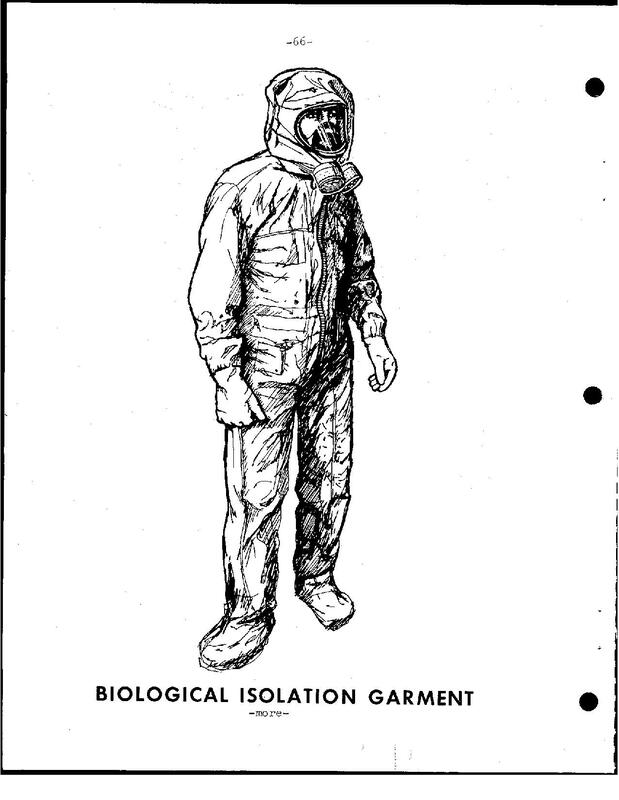 Several brands, including OMEGA, submitted their timepieces for the punishing tests – such as thermal, shock, vibration and vacuum examinations amongst others. 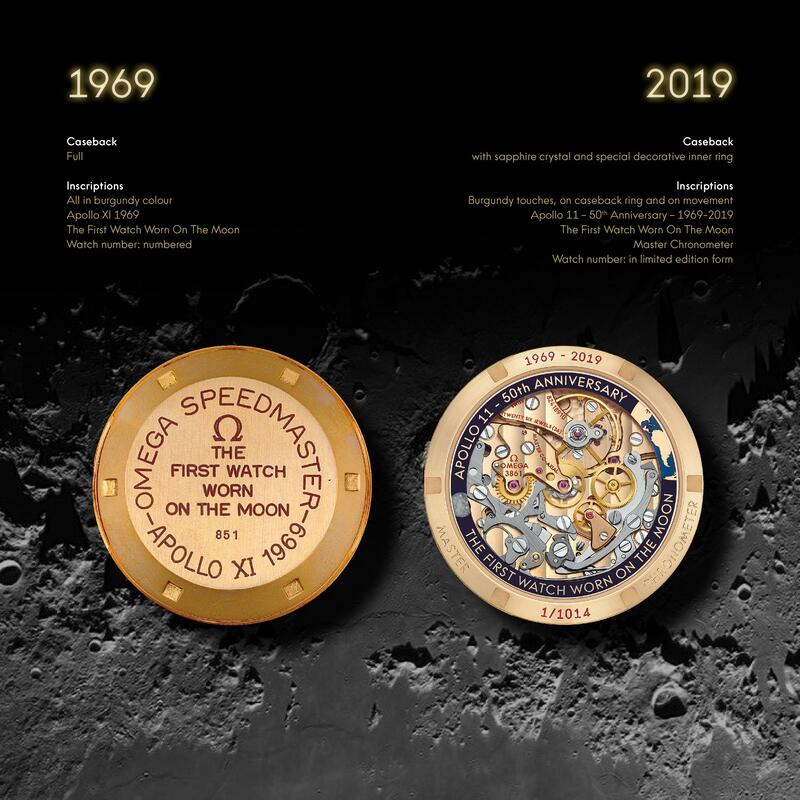 Only the OMEGA Speedmaster survived these tests and, as a result, it was declared “Flight Qualified for all Manned Space Missions” on the 1st of March 1965. More info via our partners of WatchBase. For inquiries please contact Ace Jewelers! 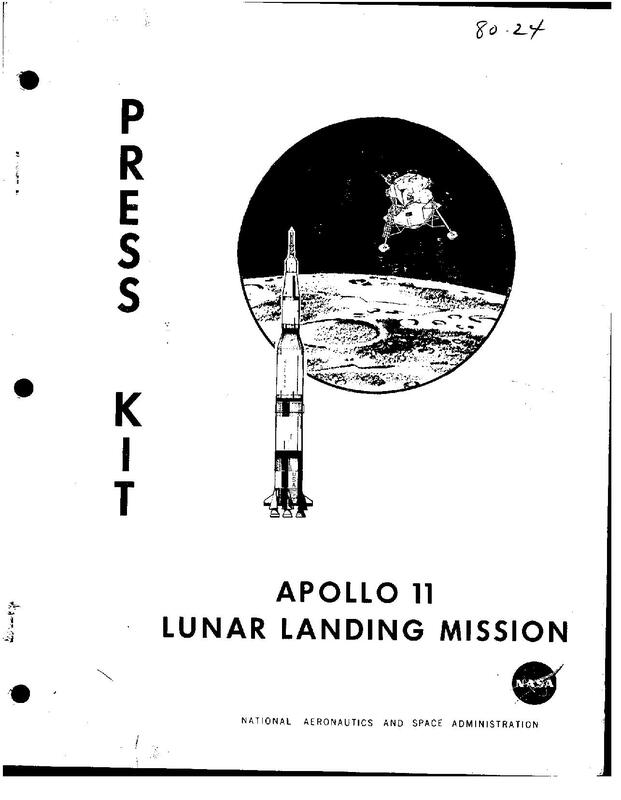 This entry was posted in Press Release and tagged 310.20.42.50.01.00.1, 310.60.42.50.99.001, 3861, 50th Anniversary, Apollo 11, NASA on March 12, 2019 by Dale Vito. 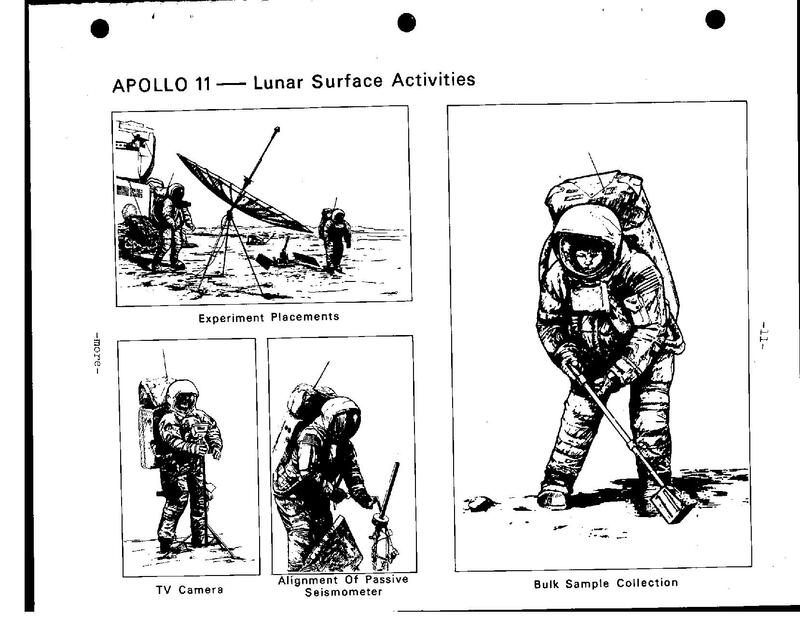 The 50th anniversary of Apollo 11 is fast approaching. 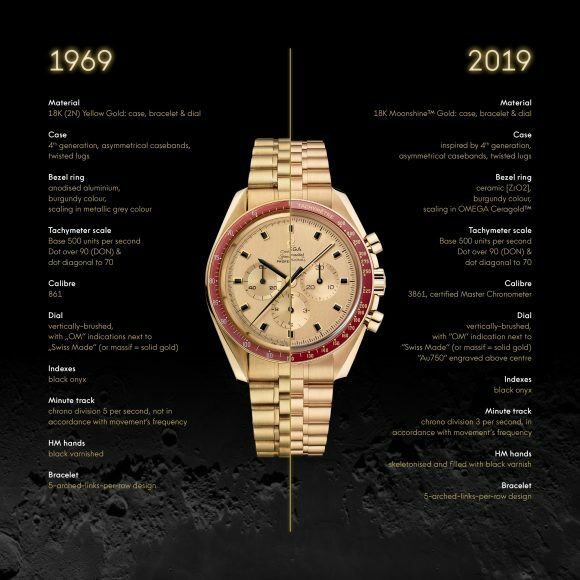 Of course us Speedmaster nuts are all [im]patiently awaiting even the tiniest bits of information on the commemorative Omega Speedmaster Professional Apollo 11 50th anniversary watches. Today I don’t have such info*. I did dig up something else! 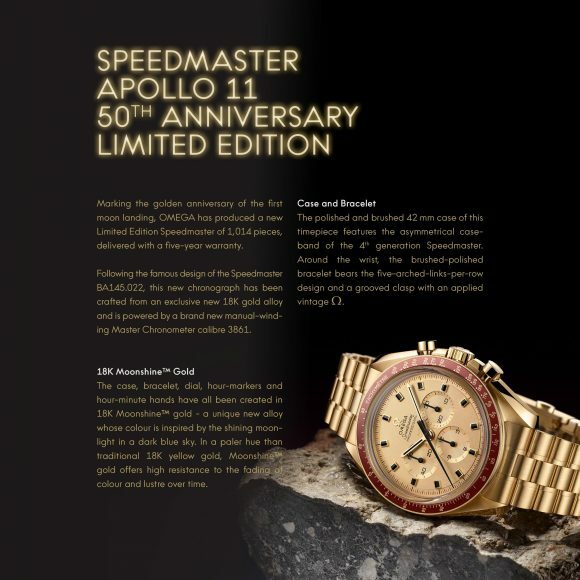 *turns out the Apollo 11 50th anniversary watch was actually launched today. What are the odds? Below are a few cool images taken from the Apollo 11 Lunar Landing Mission press kit by NASA. 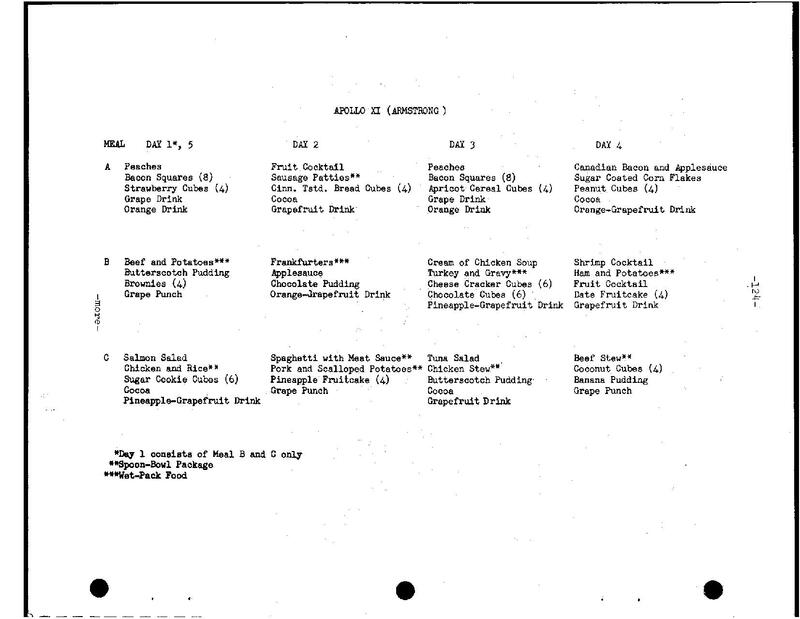 The full .pdf can be seen and downloaded at this link. This entry was posted in Editorial and tagged 310.20.42.50.01.00.1, 310.60.42.50.99.001, 3861, 50th Anniversary, Apollo 11, NASA on March 12, 2019 by Dale Vito. 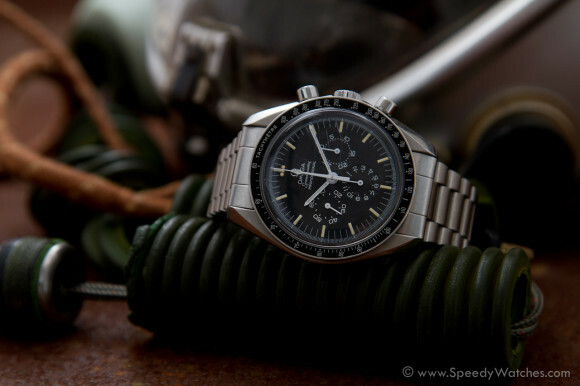 The source of many a myth and legend, the OMEGA Speedmaster has been the choice of astronauts and space agencies for half a century. 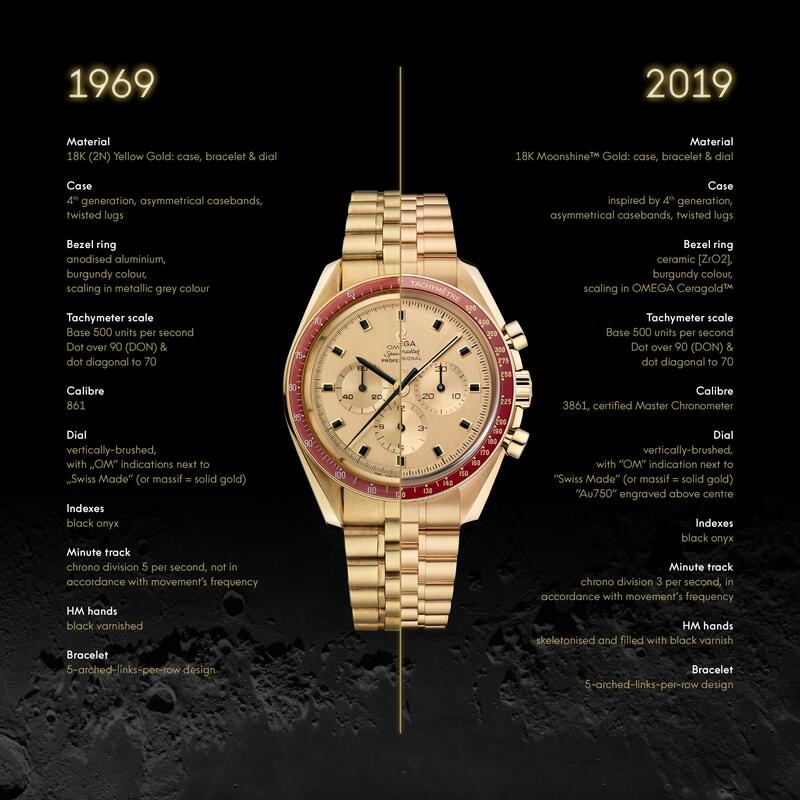 This “common” object has become one of the most famous watches in the world and has been associated with some of humankind’s greatest adventures in space, earning it the name “the Moonwatch”. Upon its release in 1957, the Speedmaster instantly changed the face of the chronograph wristwatch. 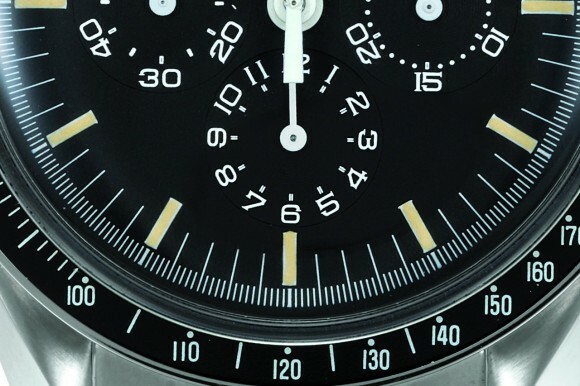 Originally introduced as part of the Seamaster line, this chronograph was the first to have the timing scale on the bezel, a world premiere that secured the Speedmaster’s position as the most iconic chronograph ever created. 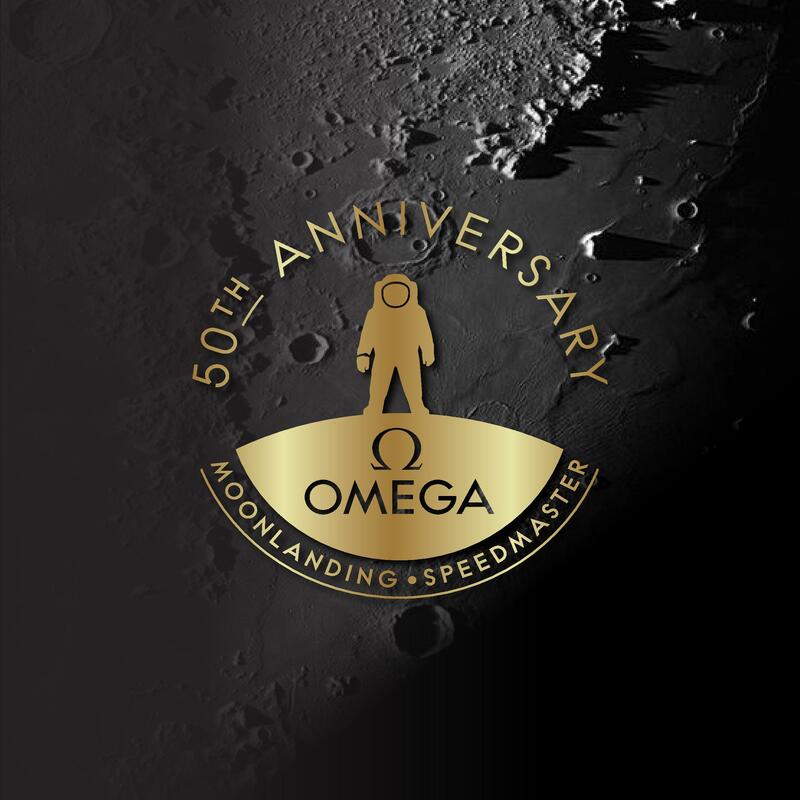 The Speedmaster´s association with space exploration began in 1962 when NASA astronauts Walter “Wally” Schirra and Leroy Gordon “Gordo” Cooper purchased their first flight-watches: the second generation Speedmaster model with the reference CK2998. These privately-owned chronographs were to be used on the upcoming Mercury program flights. And indeed, the very first Speedmaster to fly on a space mission was Schirra’s own CK2998 during the Mercury-Atlas 8 (Sigma 7) mission. Two and a half years later, towards the end of the Mercury program, the astronauts approached Operations Director Deke Slayton and asked to be issued with an official watch for use during training and eventually flight. 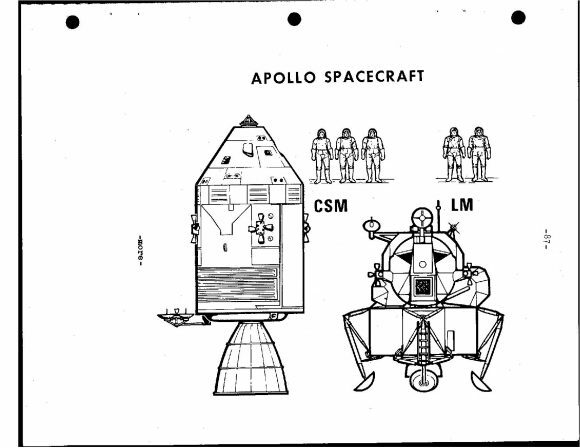 As every piece of equipment from the Mercury program was being re-evaluated and re-designed for the upcoming Gemini and Apollo programs, the timing could not have been better. 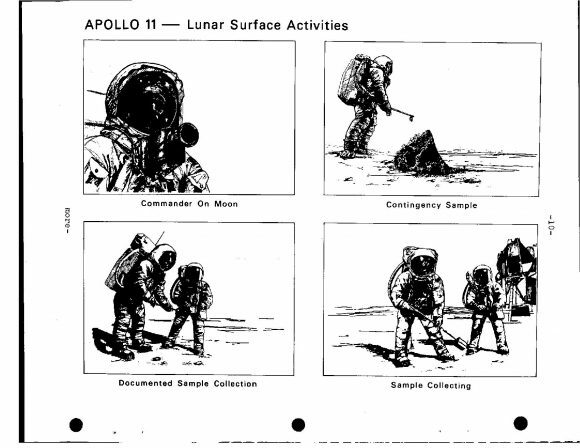 In September 1964, Deke Slayton issued an internal memo stating the need for a “highly durable and accurate chronograph to be used by Gemini and Apollo flight crews”. 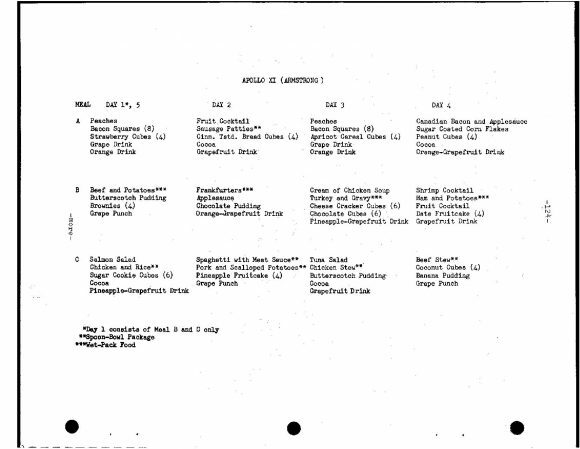 This memo landed on the desk of engineer James Ragan who sent a “Request for Quotations” and a specification sheet for wrist chronographs to different manufacturers. 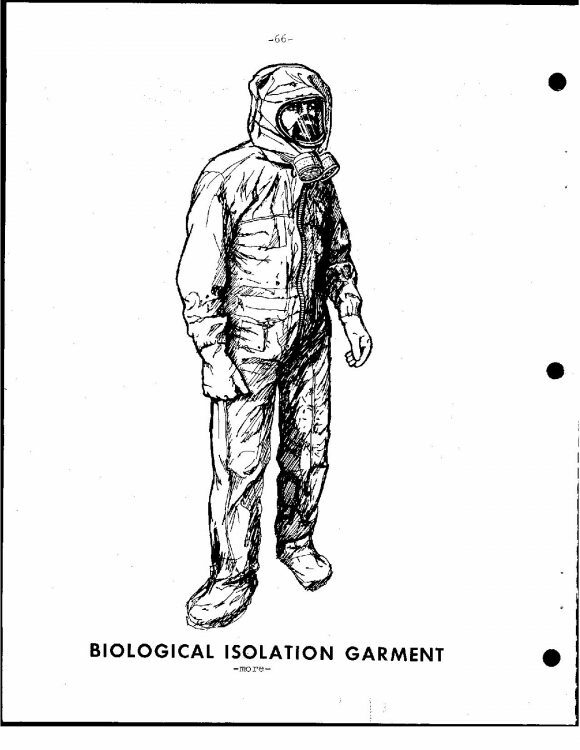 Of the brands contacted, only four responded and James Ragan asked each to supply three watches. OMEGA’s copy of the request was received by its U.S. affiliate in New York who proposed and delivered three Speedmasters with the reference ST105.003. 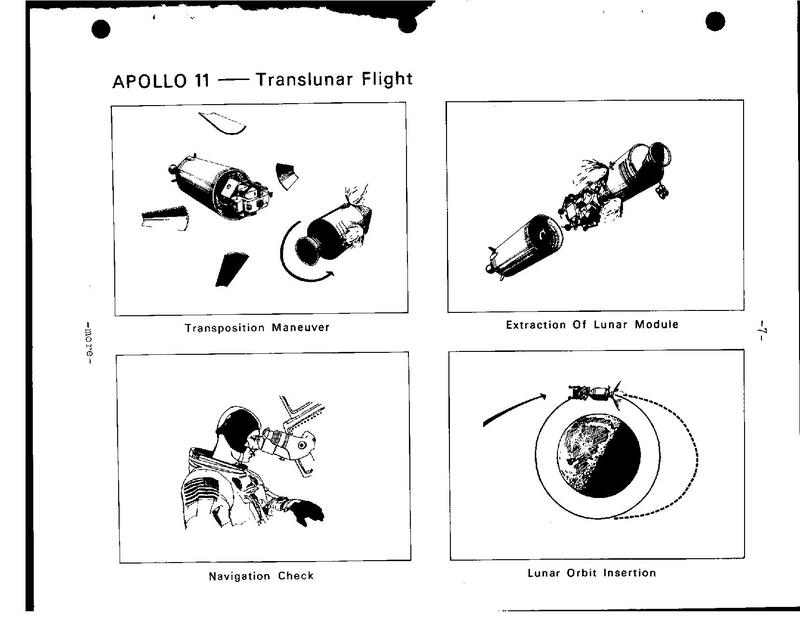 The tests which ensued were designed literally to test the watches to destruction. The watches were subjected to temperatures ranging from 71°C to 93°C over a two-day period, after which they were frozen at -18°C. 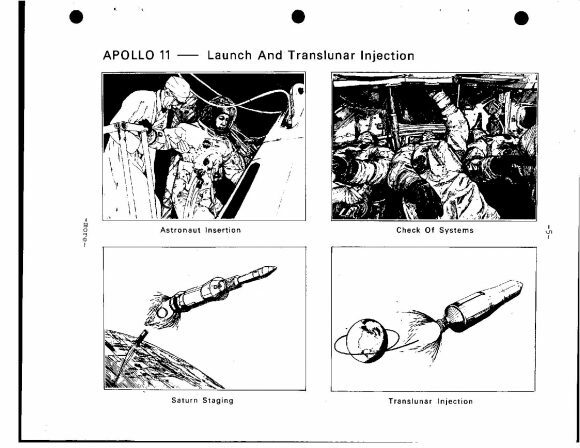 They were placed in a vacuum chamber heated to 93°C, and then subjected to a test where they were heated to 70°C and then were immediately cooled to -18°C – not once but fifteen times in rapid succession! 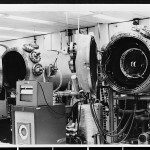 When this had been completed, the watches were subjected to 40 G in six different directions and to high and low pressures. Their performance and ability to function was tested in an atmosphere of 93% humidity and in a highly corrosive 100% oxygen environment. The watches even had to endure noise levels reaching 130 decibels. 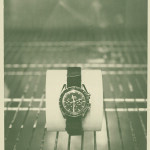 Finally, they were vibrated with average accelerations of 8.8 G. In the end only one watch had survived: the Speedmaster. 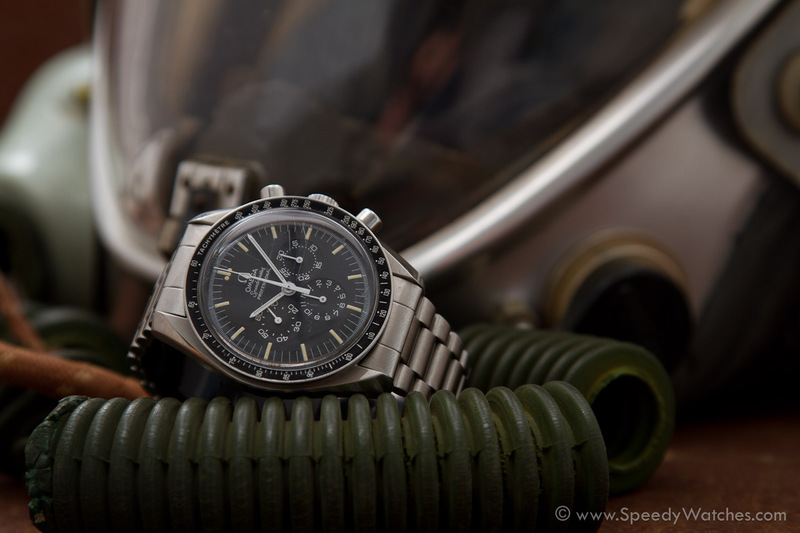 As a result of surviving the testing, the Speedmaster was declared “Flight Qualified for all Manned Space Missions” in March 1965. 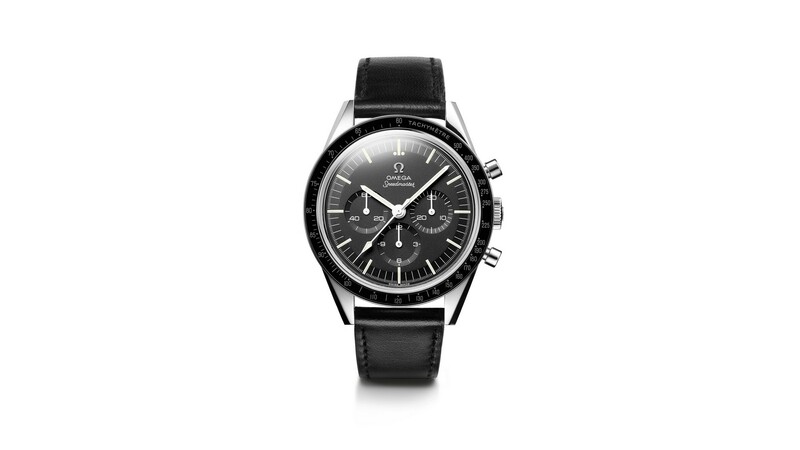 Just three weeks later, the Speedmaster went into space officially for the first time on the wrists of Virgil “Gus” Grissom and John Young during their Gemini 3 mission. On June 3rd 1965 Edward H. White wore his Speedmaster on America’s first spacewalk, during the Gemini IV mission. 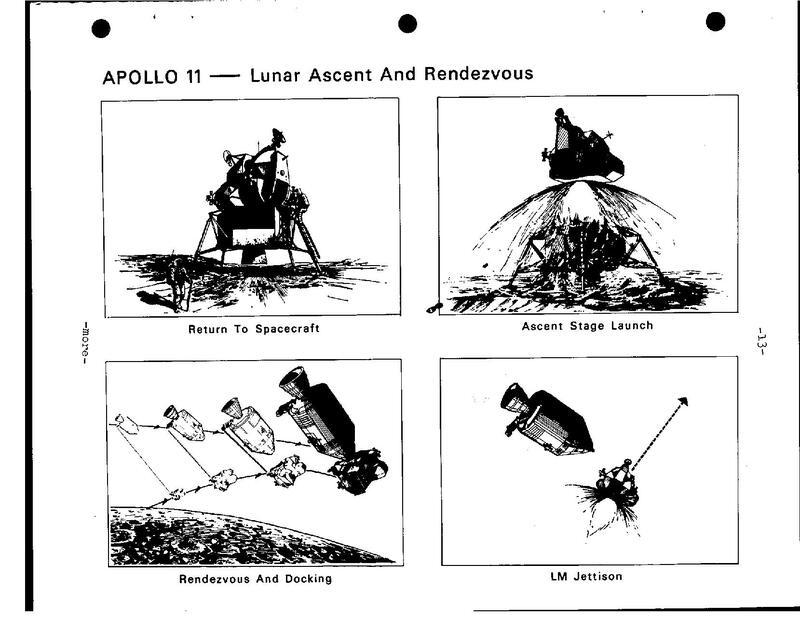 Another four years passed and NASA was preparing for the first lunar landing. 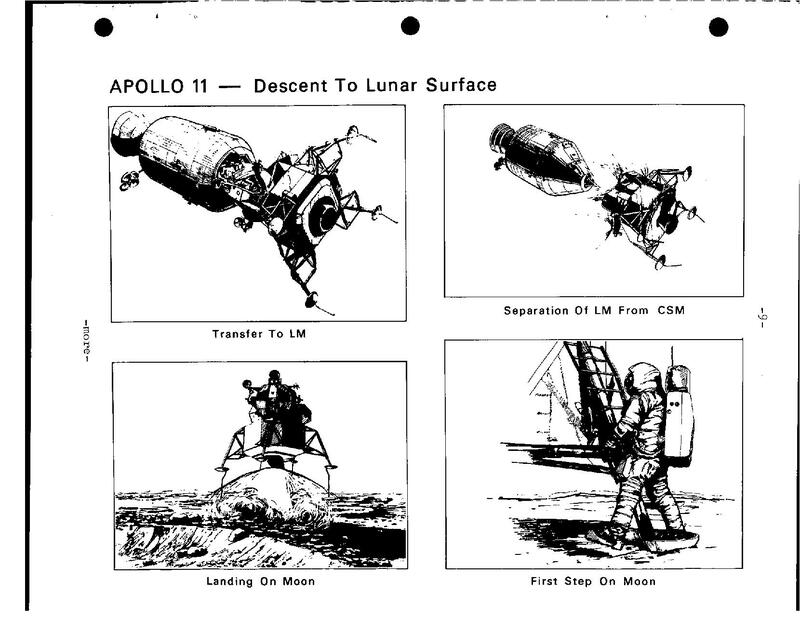 The crew had been selected and the decision was made that Neil Armstrong would be the first man to walk on the lunar surface. NASA had, by this point, adopted the most recent versions of the Speedmaster that was available at that time, the ST105.012 and ST145.012, for the Apollo program; however, as NASA still had quite a few ST105.003 in stock from the original supply, this model was also routinely issued to the astronauts. On the 21st of July 1969 at 2:56 GMT, Neil Armstrong stepped off the “Eagle” to become the first human to stand on another world. Buzz Aldrin was fifteen minutes behind him and the Speedmaster Professional became the first watch to be worn on the Moon. 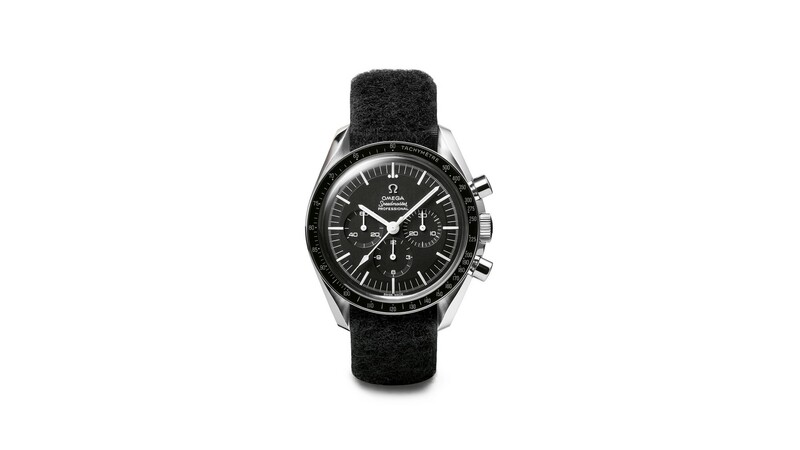 More than 45 years and countless missions later, the Speedmaster remains flight-qualified and boasts a huge following. In fact, no other piece of equipment – let alone a watch – can claim to have been used during the Mercury, Gemini, Apollo, Skylab, Soyuz, Salyut, Space Shuttle, MIR and International Space Station programs. 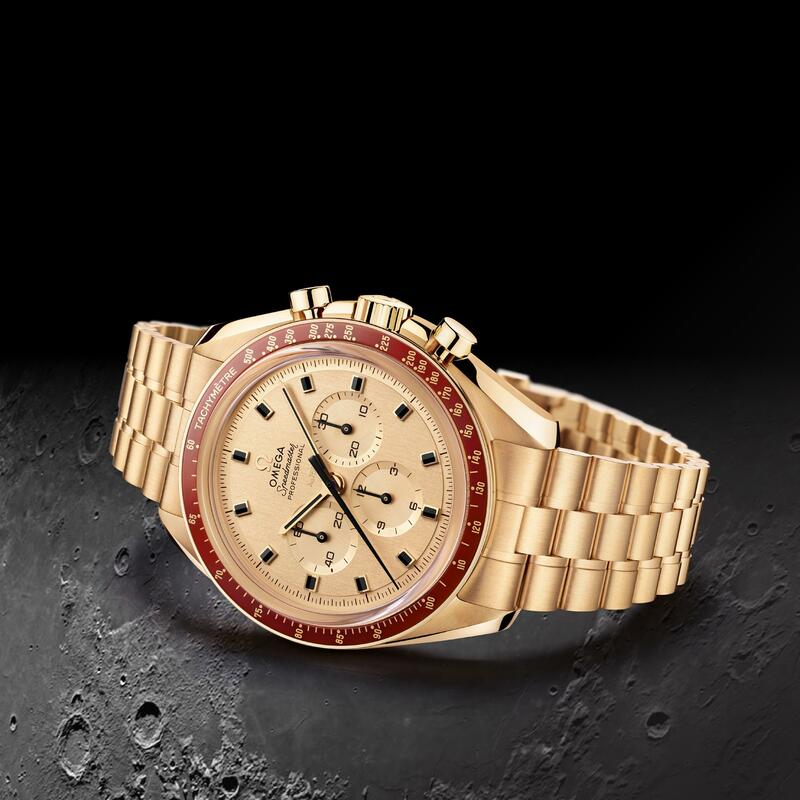 Without any doubt, the Speedmaster is the ultimate space watch. 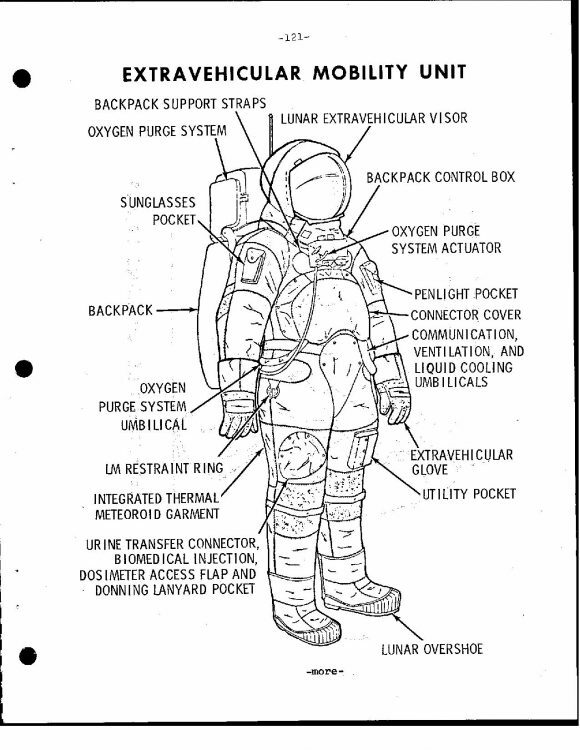 This entry was posted in Press Release, Speedmaster Professional and tagged NASA on May 13, 2015 by Dale Vito. 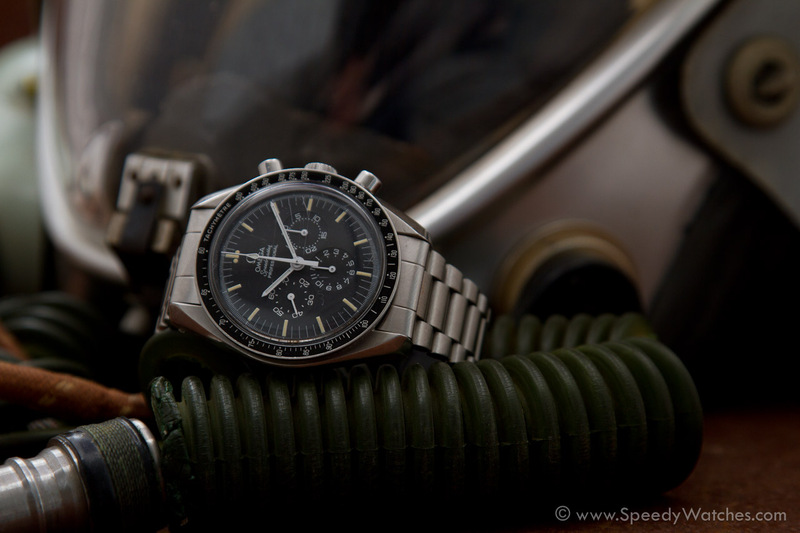 Earlier today we promised more pictures and details of the Omega Speedmaster Professional NASA 145.022 with so-called ‘Radial’ dial. No more waiting – ready for take off! As noted by in the comments section of our previous post, it is indeed the very same Speedmaster that was first featured on FratelloWatches: the one that was once owned by Reinhard Furrer. After his untimely death the watch was given by his family to a friend and fellow astronaut, who now still has the watch in his possession. FratelloWatches did a rather comprehensive write-up on the history of this watch and the late Mr. Reinhard Fuller. It is worth a read! As their is little to none to be added to the Fratello post, we’ll stick to pictures and a few remarks on the specifics of the watch and it’s design. This Omega Speedmaster 145.022 is different from your regular Speedy Pro on two key points: the dial and the caseback. While the dial features the exceedingly rare Radial number alignment, the caseback is engraved with NASA issue numbers. 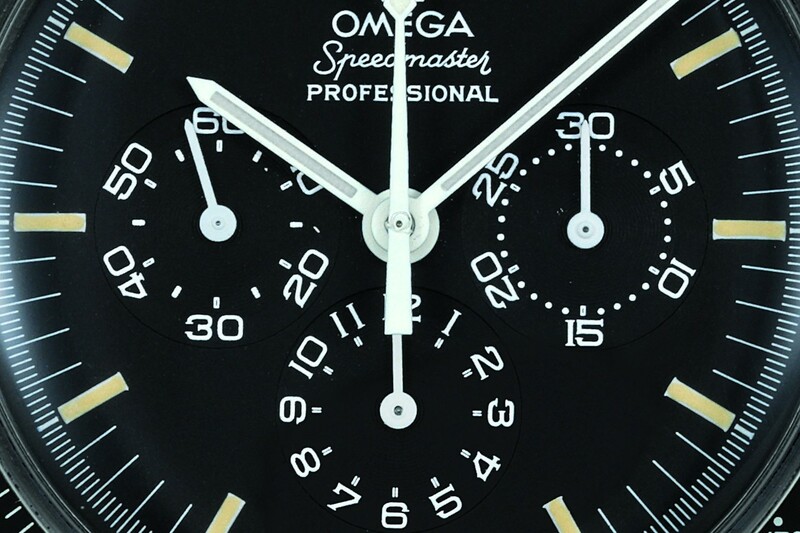 An example of a Speedmaster with a similar dial can be found in the OmegaMania catalogue. 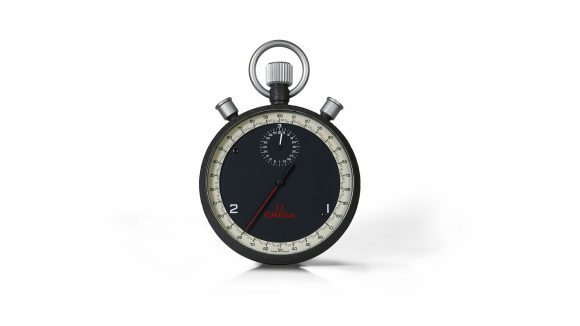 The obvious difference compared to a regular Speedy Pro is the alignment of the numbers of the subdials, but the complete lack of any ‘Swiss’ wording at 6 o’clock is also very unusual – and thus quite notable. But as stated, while the lay-out of the numerals of the subdials is obvious, it is not the only thing that caught our eye when admiring this Speedy. What about the lacking ‘Swiss’ designation – in whatever form? 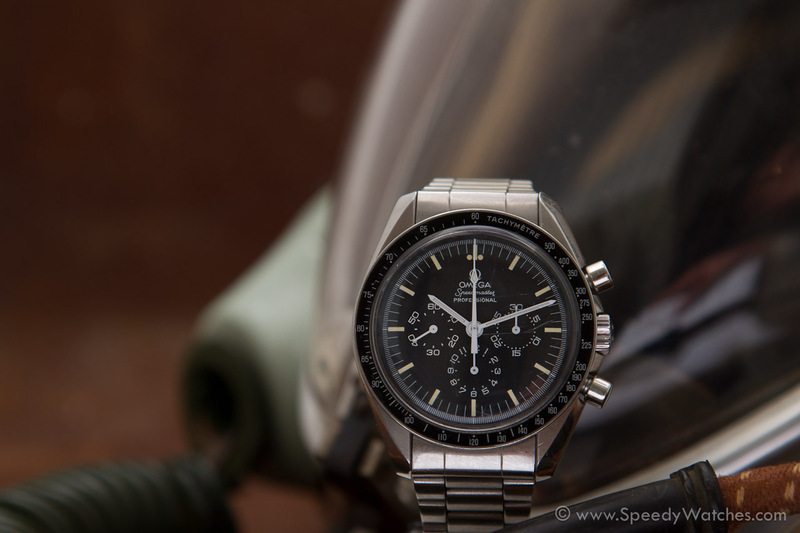 Something that is often discussed in Speedmaster circles is the ‘Made in America’ rule. Supposedly NASA insisted that the majority of parts -or value- of their equipment should be made in the USA. 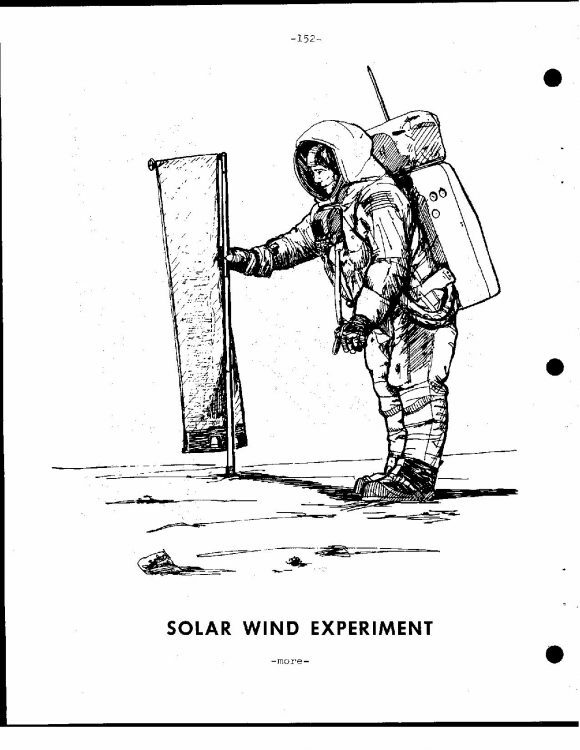 So how does a Swiss watch company -with the only watch certified for use by NASA at the time- get around this? 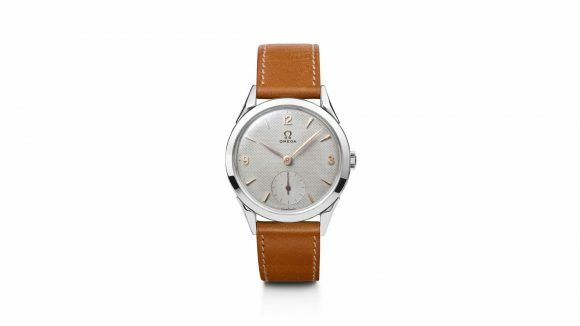 Omega’s solution was to have the cases made in the USA, and so they did. They contracted an American case maker and had them make Speedmaster cases. While this may seem like a random thought, it actually isn’t: the mark of the Star Watch Case Company can easily be seen in the pic of the caseback below – it is the line starting at 3 o’clock. While rules for ‘Swiss Made’ or any other designation have changed quite drastically in the last 20-30 years, it is not that much of a leap to think that the 50% value added in the USA (including casing, regulation) would exclude the Speedmaster Professional in NASA-disguise from using such wording on its dial. 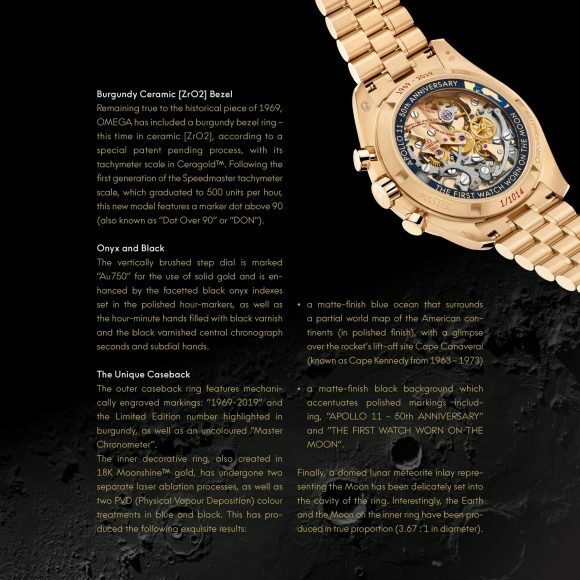 It is documented that Omega did contract the Star Watch Case Company for just this reason – if interested, you can read more about it right here. Below you’ll find a few additional pictures of this stunning watch. Once more: do not hesitate to share your views in the comments! First of all of course the gentleman collector who owns this stunning Speedmaster. It would not have been possible without your cooperation! Ace Photo Studio for the excellent job performed in the very short time frame we permitted – please note, these pics were made in just 10 minutes without any Photoshop! Kudos guys! Their website is not up yet, but don’t hesitate to ask us for details. 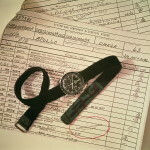 FratelloWatches for finding out about the watch and its whereabouts. Antiquorum for the high-res pic as found in the OmegaMania Auction. 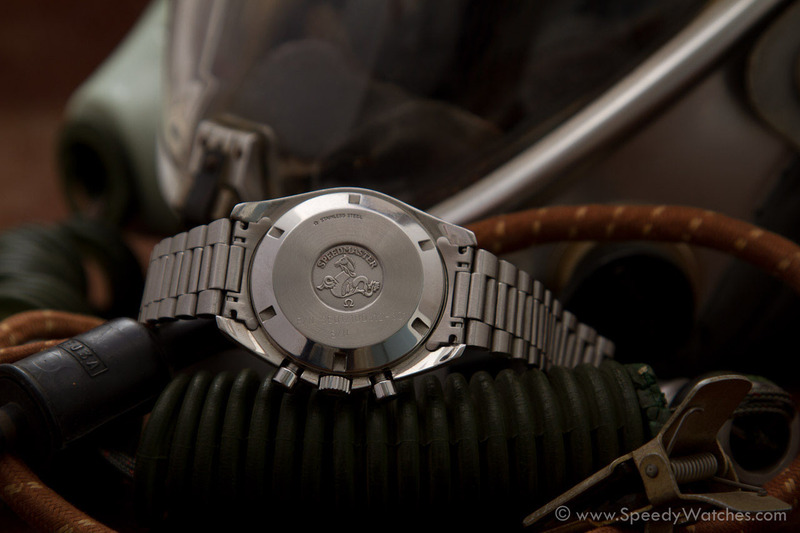 Military Watch Resource and user Camfam for the info on the Star Watch Case Company. Add. : this watch is the very model being auctioned by Bonhams on December 10th 2014. This entry was posted in Speedmaster Professional and tagged Alaska Project, NASA, Radial, Reinhard Furrer, ST 145.022 on February 1, 2014 by Dale Vito.